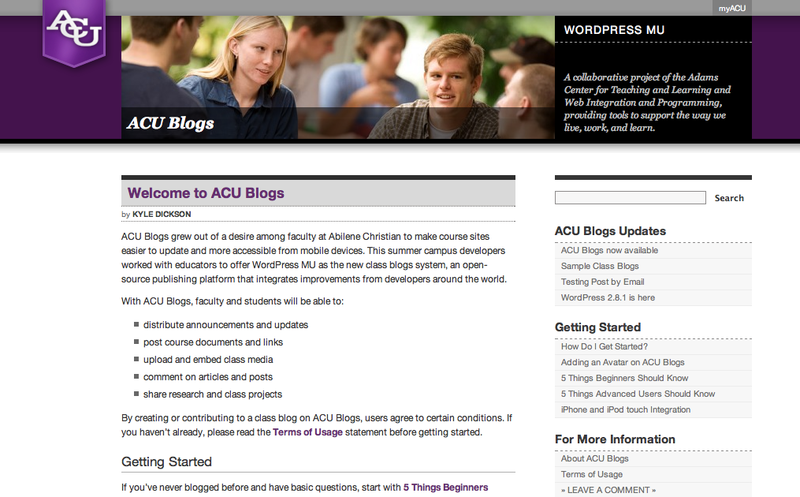 ACU Blogs is a project of the mobile learning initiative at Abilene Christian, seeking to connect our campus through more engaged student learning and improved campus communications. WordPress has proven a fortunate choice for campus development, providing a flexible foundation. Mike Wiggins is an associate professor of Art & Design at ACU and a free-lance designer. For the initial deployment in 2009, Mike developed the ACU Blogs theme in two formats–the standard and minimal layout–and worked closely with Mike Jolley and The ThemeSlice Team in the UK on the final code. 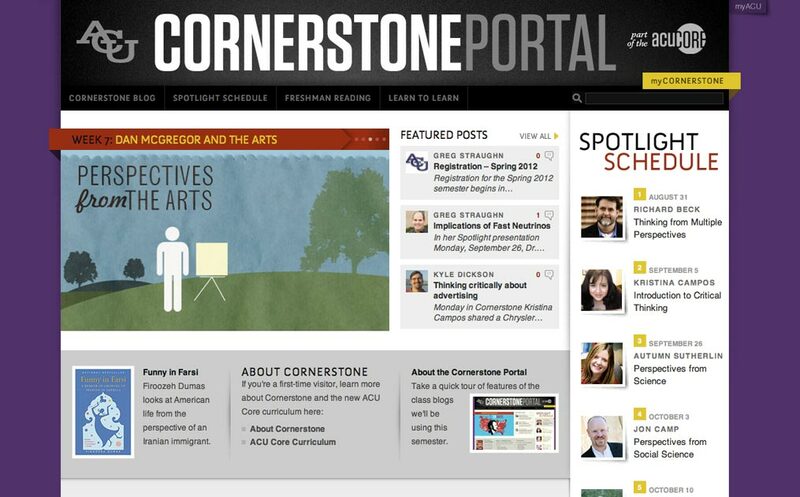 In 2010 we worked with Mike on the Cornerstone Portal and blog themes. 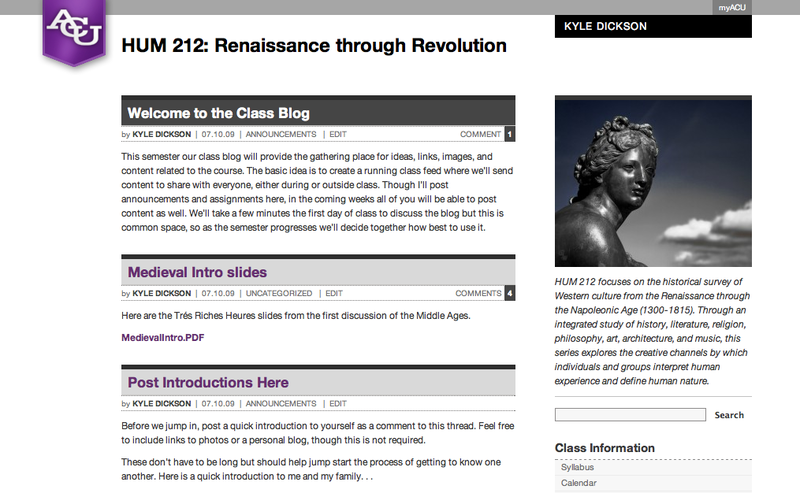 Both themes are available to other educational institutions and non-profits with a Creative Commons license. 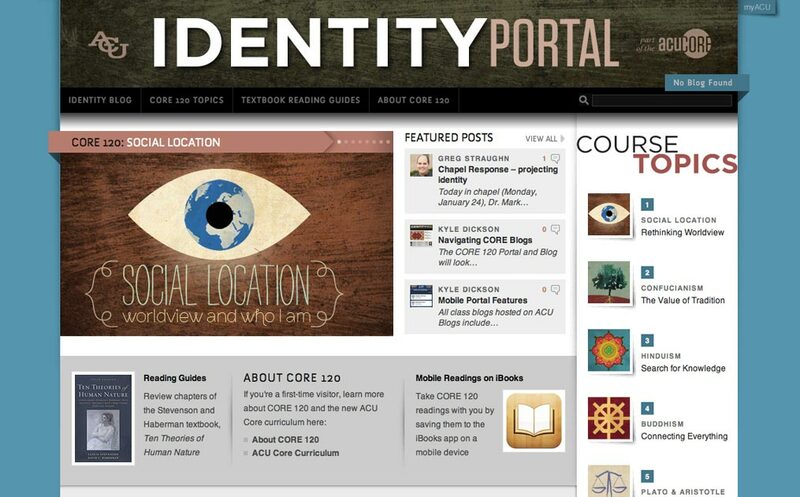 For more information, contact the Learning Studio at ACU. WordPress has also proven a fortunate choice for deployment. Building on the work of its expanding community of developers, we have rarely encountered problems that haven’t already been tackled by others. Though the installation includes dozens of specialized plugins, two key components that helped us realize a mobile solution where we rarely encountered a problem someone across the WordPress community hadn’t already encountered.